Opening Times: Club times (exclusive) (Tonbridge AC) Tue & Thu eves, (Paddock Wood, summer only) eves of 1st & 3rd Wed in month. No public times. The ground on which the track is located is called the Wilmot Ground after George Wilmot, a former pupil at the school and was given this name in May 1972 so there may have been a track here since then. The synthetic Spurtan BV surface has been down since 1985 and is quite hard but in good condition. The netting on the DT/HT cage is taken down in the winter but in the storms of late 2000, the cage itself was knocked over. 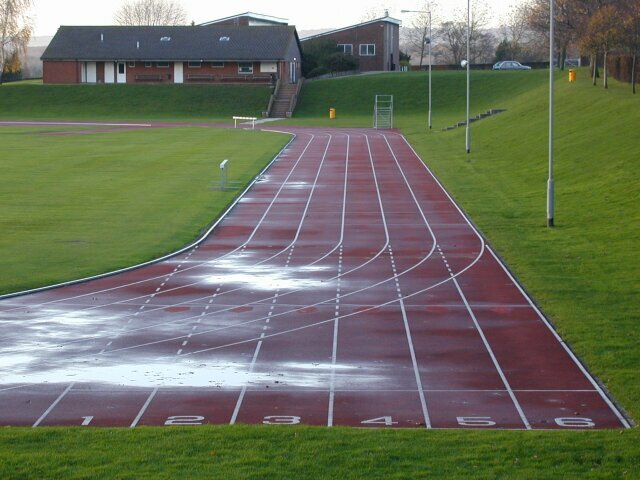 It is reported to be always windy at the track but is a pleasant place to train as it is surrounded by countryside. There is a pavilion at the track.